Fresh from a morale-boosting win at Villa Park, Albion face a tricky third round tie in the League Cup on Wednesday evening at Carrow Road. The Baggies have only won one third round League Cup tie in the last four seasons, against Hull City last season. Having said that, the draw has not been kind as this is the sixth time in succession that Albion have been drawn against Premier League opposition in the third round and other than last season, they progressed on one other occasion, against Manchester City in 2010. The last meeting between the Throstles and the Canaries was a crucial 1-0 win for the Baggies at Carrow Road in April 2014 as Pepe Mel’s men battled to avoid the drop along with the Norwich. City, of course, lost their battle but they are now back in the Premier League and entertain Albion in the first League Cup tie between the sides for 36 years. Albion and Norwich have been drawn together in the League Cup on two previous occasions, but this is the first time that the Canaries have been drawn at home. On both the previous occasions, in 1974 and 1979, the first game at the Hawthorns was drawn which City winning the replay in Norfolk. On the last occasion, a strong Baggies side including Regis, both Browns, Robson, et al went down 3-0 thanks to a brace from Kevin Reeves and another from Mick McGuire. In those days, of course, the idea of resting first team players for the League Cup was unheard of, but then Albion wins in Norfolk were somewhat rare as well. The first time that Albion played at Carrow Road was in a Division Two match in September 1938. The clubs had met in the FA Cup at the Hawthorns back in 1907, but this was Albion’s first experience of football in Norfolk. The Baggies won that game 3-2 thanks to a double from Meynell Burgin and another from Harry Jones, but it was another 43 years before Albion won there again. Admittedly, the next meeting was not until Norwich were promoted to Division One for the first time in 1972, but Albion lost five and drew three of their next eight visits to Carrow Road before finally recording another victory on Valentine’s Day 1981 when Cyrille Regis and a late penalty from Gary Owen (pictured) secured the Baggies the 2 points. Albion won again on their next visit in September 1982 (by which time it was 3 points for a win! ), but normal service resumed as the Canaries won the next two home games against the Baggies before they were relegated in 1985. Albion, of course, were relegated the following season but, as Norwich were promoted back to the top flight, the clubs did not meet again until 1995/96 after City had been relegated just two seasons after finishing third in the inaugural Premier League. Since then, Carrow Road has been a much happier hunting ground for Albion as they have won six and drawn four of the fourteen visits since then. Their biggest win at Norwich came in February 1997 when a Paul Peschisolido brace was added to by Richard Sneekes, to put Albion 3-0 up on the hour. Daryl Sutch grabbed one back for the hosts, before Pesch completed his hat-trick to secure the points. Former Norwich boss, Neil Adams, scored a late penalty to make the final score 4-2. City’s biggest win was their last over Albion at home in May 2013. 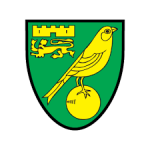 Although Albion were heading to the highest ever Premier League finish, they capitulated at Norwich as the hosts ran out 4-0 winners thanks to goals from Robert Snodgrass, Grant Holt, Jonny Howson and an own gold from Gareth McAuley. That result seems to be a blip in the Baggies’ recent results at Norwich, however, as they have won four of the last five. Preceding that run was a remarkable match in February 2005. Both clubs were fighting to stay in the Premier League and Albion led twice through Earnshaw and Richardson (pictured playing in that match), but the hosts fought back on both occasions before a wonder strike from Damien Francis won the points with five minutes to go. The Baggies, of course, were to have the last laugh as they were the side to stay up on the last day of the season. Both managers have indicated that they will make changes to their line-ups for this fixture. Pulis reports that a number of his first team squad picked up knocks at the weekend, while Noriwch boss, Alex Neil, is expected to give some of his fringe players an opportunity. It will be interesting to see if Pulis gives an opportunity to some of the forgotten men such as Sessègnon, Anichebe or, heaven forfend, Sébastien Pocognoli, but I’m not holding my breath! Graham Dorrans could feature for the hosts, although he has been a regular in Neil’s first team this season, but the other ex-Baggie, Youssuf Mulumbu, is out with a broken foot. Alex Tettey is suspended have managed to pick up five yellow cards already – an impressive achievement before the end of September! With a full squad available, I would expect Albion to win this one but, depending on what changes are made, it is likely to be a close match. I expect Pulis to keep his changes to a minimum as he is generally a fan of the cup competitions, whereas Neil is likely to be unconcerned by an early exit – on that basis, I’m going for a Baggies win, hopefully before extra time.